The Great Lakes have never been far from Jim’s heart, either. Where he grew up near Buffalo, NY it was a Lake Erie beach which he describes as a “childhood dream,” but for much of his life since then it has been a cottage on Saginaw Bay, of which he has many fond memories of time spent with his family. 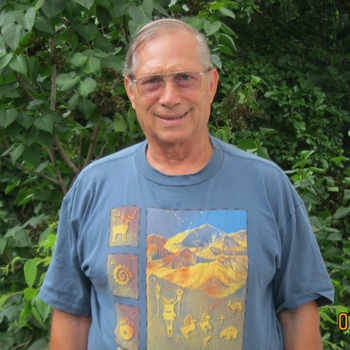 He and his family fished, swam, water-skied, and ate that morning’s catch for dinner. Now that his children have children of their own, their favorite thing to do is take their kids to the cottage so they can experience the same beauty and fun. But things aren’t the same. “Not too long ago you could sit for two hours and you could get enough perch for perch dinner for eight people,” Jim remembers. But now? You can sit for two hours and not catch a single fish. It’s not just that the fish are gone. 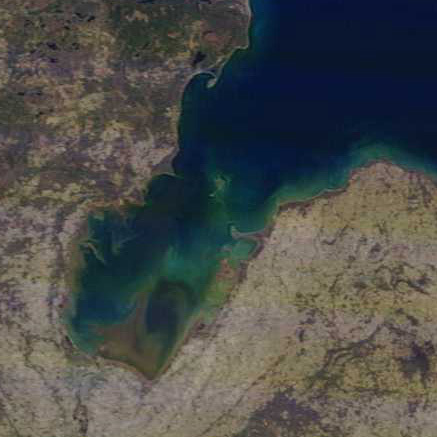 There are visible, unpleasant changes in Saginaw Bay. While the lakes were certainly comparatively pristine when Jim first knew them, he’s been concerned about the health of the Great Lakes for, he estimates, fifty years. His worry over what was happening to the lakes he loved drove him to find out everything. 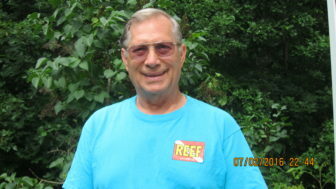 Jim, who also loves the ocean and is an avid scuba-diver, wearing a t-shirt from REEF, an organization that surveys oceanic fish populations he could. He’s been aware of Michigan LCV “since before there was an internet” and reads many scientific publications. Jim knows that there are still parts of the problem the scientists don’t completely understand, but he also knows there are some key causes they know for sure. He knows that anything we put on Michigan’s land will eventually end up in its Great Lakes. Industrial waste, fertilizer, and even something so simple that all of Michigan’s rural residents are familiar with: “There’s no sewer. So you’re forced to have a septic field. He knows overfishing and climate change could be part of the problem, too. But it doesn’t take science to understand a photograph. Jim has seen some cause for hope, in the considerable progress that has been made in cleaning up the lakes and in citizen efforts, but there is still much to be done. “For a while there was a movement to do something about the septic fields, but that’s died out,” he says sadly. But maybe more people will begin to take a stand as they realize what they’re losing. 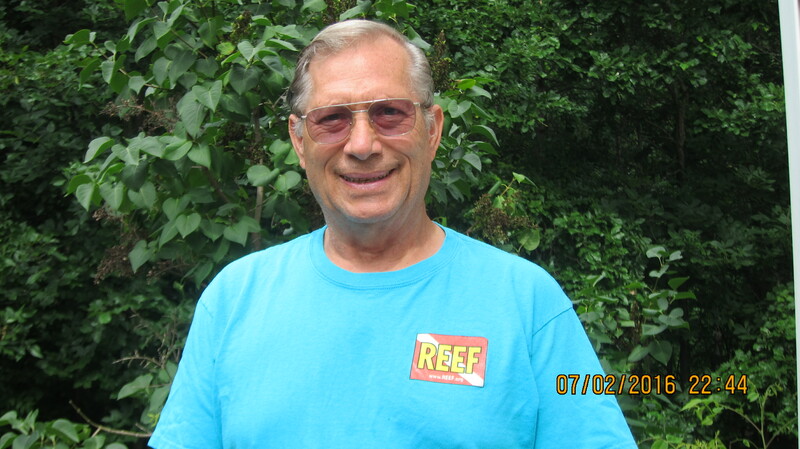 Jim has noticed a big decline in the boats he sees on Saginaw Bay on the weekends. He thinks the fish population decline and the lowered water levels that can make it almost impossible to get a boat into the water are pretty likely causes. Maybe for Jim, the most important part of all of this has always been the good times he’s had on the lakes with family and friends. “Look at all that fun people are missing!” he says, laughing. Michigan LCV is committed to connecting people like you and Jim with the information, tools, and resources you need to fight for the clean air, land and water that have made our state a great place to call home.